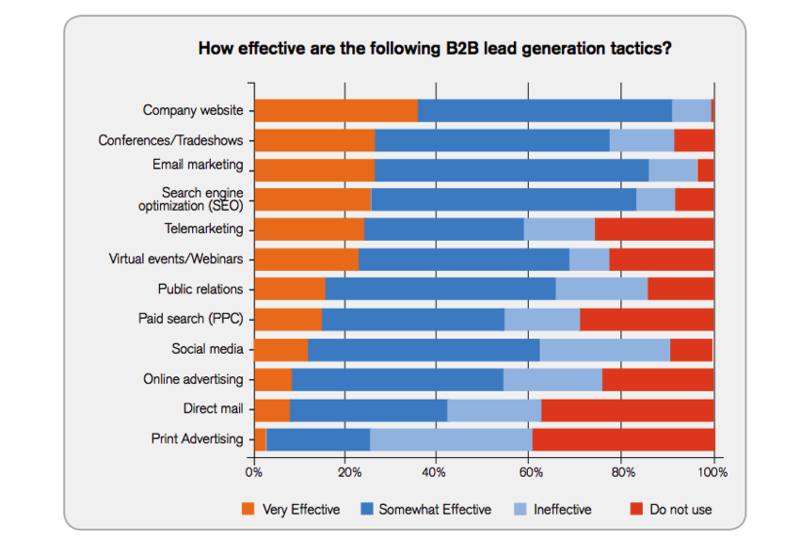 How does your lead generation stack up against other B2B technology companies? The B2B Technology Marketing Community on LinkedIn, comprised of more than 42,000 marketing professionals in software and high-tech industries, did a survey of their group to gather trends in lead generation. More than 800 respondents were tallied to create the report, and here are the highlights. 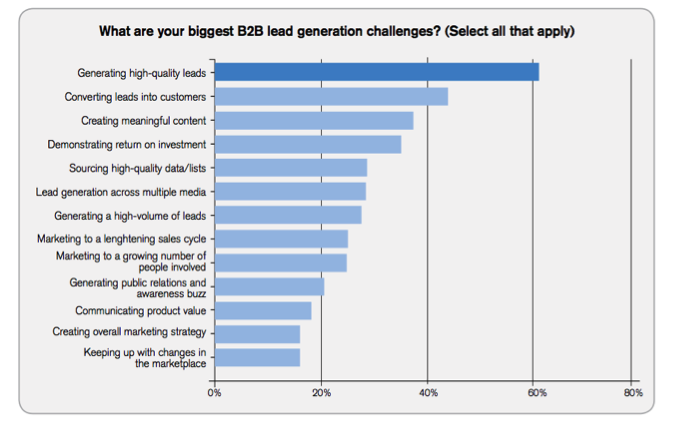 Generating high-quality leads is the number one challenge for B2B marketers, followed by converting leads into customers, and creating meaningful content. The company website is the most effective lead generation tactic, followed by email marketing and SEO activities. 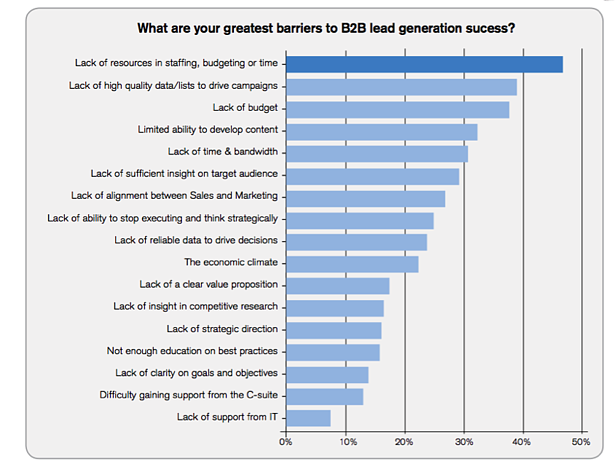 Lack of resources in staffing, budgeting or time is the greatest barrier for B2B lead generation. Posting content on the company blog and building relationships on social media are the most effective tactics at generating leads on social media. Not on social media? 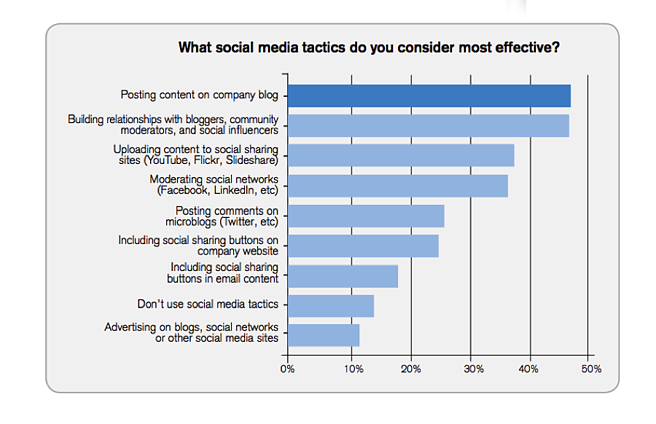 More than 85% of respondents are using social media for company lead generation. Reporting, analytics, and dashboard capabilities, as well as campaign tracking are the most used features of marketing automation software. 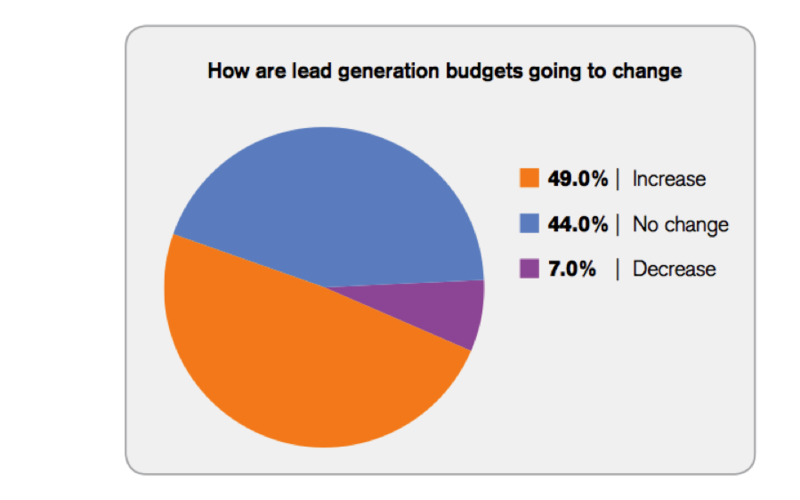 For 50% of marketers, lead generation budgets are increasing, followed by another 44% who say their budgets will stay flat from 2012; only 7% say that their budget will shrink. As you head into 2014 marketing planning, keep these trends in mind. Know that other B2B technology companies share your same pain points of lack of bandwidth to develop content, and plan to invest more budget in 2014 towards lead-generating campaigns that include the company website, email marketing, and SEO activities to generate leads online. Need help getting started? Learn more about our marketing planning services, or contact us.